Not only do we have Gregg’s recently released, haunting album, “Southern Blood” as his final gift, but the unexpected gifts of learning about his quiet, gracious gestures made to ordinary folk-his fans. 1976 Southern Buffalo is one such story. Thank you to Sean Krist for allowing me to share. Make sure to check out the link to listen to this dreamy concert! Brian Procknal hoped the call was from the manager of a nearby McDonald’s. More than 40 years ago, the phone rang one autumn afternoon in the kitchen of his South Buffalo home, back in the time when people still had one main “land line” in the house. His mother, Mary Downey, answered it. She told her son a man whose voice she didn’t recognize wanted to speak with him. Procknal, a senior at Canisius High School, was elated. He needed a few dollars in his pocket, and he’d applied to work the counter at McDonald’s. He figured the only adult who might be calling his house would be the manager, offering a job. Thus began a tale of the ultimate high school fantasy come true, a tale being told, retold and sometimes debated in recent days on the Canisius High Facebook page. Procknal said he began to curse at his caller, assuming it was a hoax, a buddy who was trying to put him on. It wasn’t. It was Allman, the Southern rock legend whose funeral was Saturday, after his death from complications caused by liver cancer. At that time, he was in Buffalo, receiving medical treatment for a drug addiction. Procknal said Mike Militello, the class president and a guy who loved music, identified the place where Allman was being treated. Militello suggested that a group of Canisius students on a social committee should write letters to Allman, behind the seemingly ice-cube-in-hell chance that maybe Allman would pay a visit to their high school, Procknal said. Procknal was 17. Using pen and paper and a stamp, he gave it a shot. Incredibly, it worked. Allman didn’t simply respond, Procknal said. In that first conversation, he bared his soul to this kid from South Buffalo. I don’t know what it is about this letter, I don’t know what I want to do, but I want to do something, Procknal recalls that Allman told him on the phone, speaking to the notion of a performance. After 40 years, after such a long stretch of time, there are slightly different accounts on Facebook of exactly what happened next. Procknal said Allman also scheduled a secret face-to-face meeting that fell, by coincidence, on a day of festive preparation for a big football game. Procknal said he went to school in a blue and gold sweater. He painted his face in Canisius colors. He managed to break away from his friends to go to the rendezvous point at the corner of Delaware and Cleveland avenues, where a monster limousine pulled up. Procknal climbed in. Gregg Allman, he said, looked at his face-painted passenger, for a moment, as if he were visitor from Mars. Then Allman began sharing intimate truths about his life, he said. “He was super, super nice,” Procknal recalled. 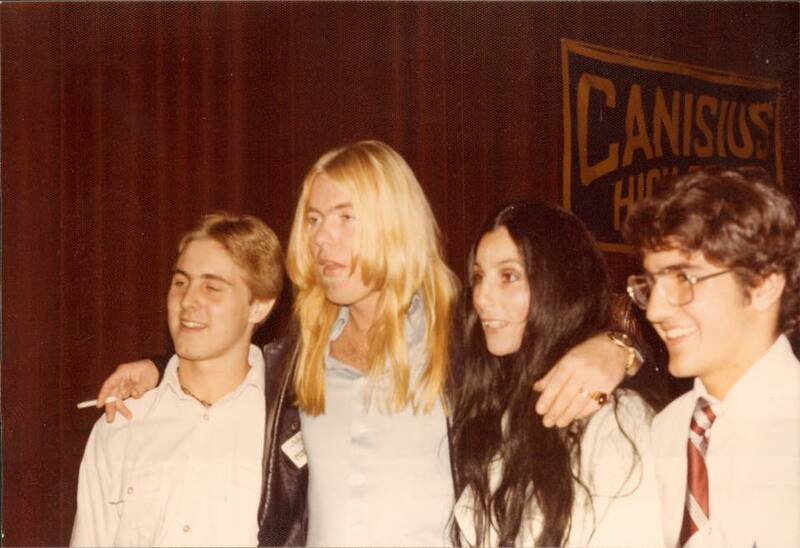 Speaking to this teenager he’d never met, Procknal said Allman told him how he’d struggled emotionally since his brother Duane was killed in a motorcycle accident, how the Allman Brothers band had fallen apart, and how Gregg – who at the time was in a high-profile and sometimes turbulent marriage to Cher – was trying to pull himself out of a dark place. “We drove around for an hour,” Procknal said. He’d play some songs for Canisius, but only under specific conditions that might be difficult to swallow for school administrators. This was 1976, when the nation remained divided by aftershocks of the 1960s. A little knot of teenage students would need to go to the Rev. Joseph Papaj, their principal, and tell him a long-haired rock star, in treatment for drug addiction, wanted to play an afternoon concert for Canisius. Not only that, this rock star had conditions the school would have to meet. Specifically, no one – especially the media – could know there was going to be a concert. The principal listened to the students as they recounted the demands. He did. At 77, Papaj is an adjunct professor of education at St. Peters University, in New Jersey. He is glad, all these years later, that people in Buffalo are celebrating the memory of Allman and his concert, instead of lamenting that some curmudgeon turned it down. He said he never saw Allman’s offer as troubling. David Kocieniewski, who went on to become a Pulitzer Prize-winning journalist, was a freshman that autumn. Kocieniewski, now a writer for Bloomberg, recalls how he had a long bus ride home each day. He thought about skipping the assembly so he could get to his house a little early, but he feared he’d be caught by the hawk-eyed Jesuits. On a nondescript Wednesday in late October, he went to the “beautiful and ornate” Canisius auditorium, prepared for a dose of classic high school tedium. Procknal took the stage to open the “assembly.” He told the school there’d been a little change in plans. There was certainly one woman in the spotlight: Cher, Allman’s wife, showed up with her daughter Chastity – now Chaz – and the couple’s infant son, Elijah Blue. Allman was one of the most influential musicians in rock, yet Cher’s celebrity was even more expansive. She was the rare entertainer known by her first name alone. There she was, Procknal said, sitting on the stage at Canisius with her kids as her husband performed. At one point, Procknal said, he ended up holding their baby. 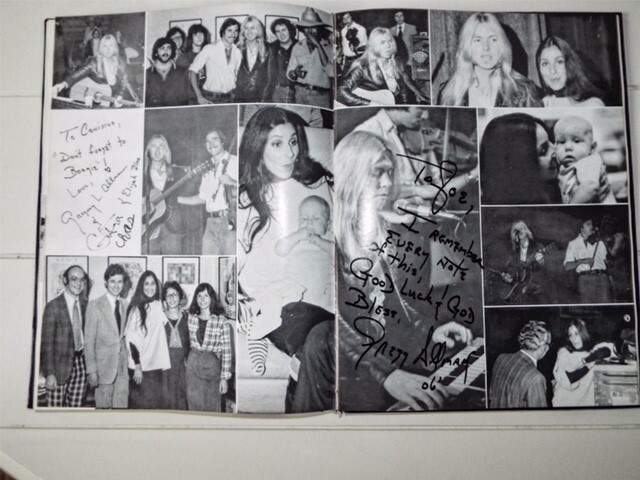 On the tape, Allman introduces Cher and the children to his ecstatic young audience: “If it wasn’t for this lady, I probably … I wouldn’t be here. If it wasn’t for me and this lady, this other person wouldn’t be here,” he says of their infant son, before he also makes a point of introducing Chastity. After the show, amid a lingering buzz of joy and disbelief, Cher mingled at the faculty residence with the curious Jesuits, where she left a permanent impression. “Very personable and warm and interested in ordinary things,” said Papaj, who keeps a photograph of himself with Cher in his living room. Kocieniewski remembers riding home on a quiet bus, surrounded by everyday people from Buffalo, and thinking: Did this really happen? As for Procknal, he ended the most unforgettable day of his young life by thanking Allman, before Procknal stepped from his senior year onto the fast track of real life: He went to college and on to a food services career that would take him to Boston and San Francisco and finally back to Buffalo. Allman added one postscript to the tale. In the auditorium that day was a freshman named Joe Greer, who eventually settled in Maryland. Greer is a friend of Lou Brutus, a syndicated radio host who has interviewed such rock icons as James Taylor. 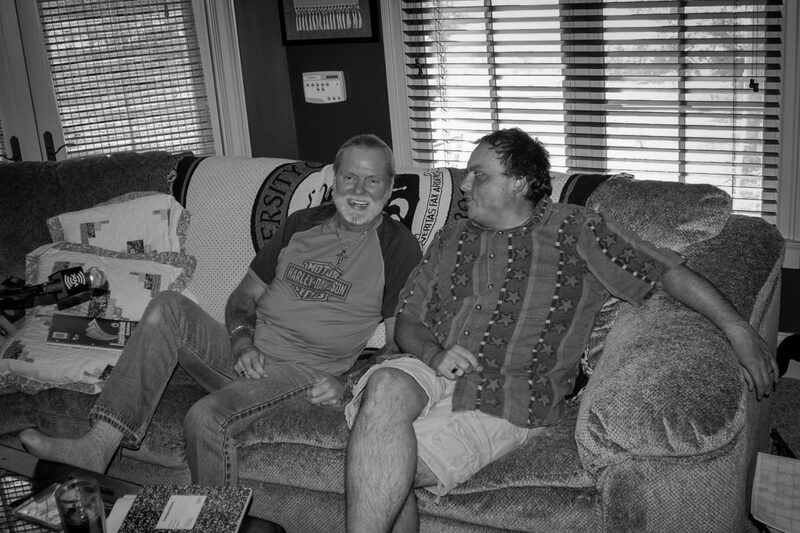 They were talking one day, more than a decade ago, when Brutus mentioned he was planning to interview Allman at his home. Greer, reminded of the connection so many Canisius students felt to Allman, immediately brought up the unexpected concert. He told Brutus how there was a two-page spread in “The Arena,” the 1977 school yearbook, filled with photos celebrating the show. He brought it with him as he drove along a sycamore-lined private lane in Georgia that led to Allman’s house. He kept it in a backpack while Allman did a long and gracious interview. As the interview was winding down, Brutus pulled out the yearbook. Allman’s response was immediate and emotional. “I thought he was going to burst into tears,” Brutus said. Sean Kirst is a columnist with The Buffalo News. Email your memories of this concert – or reflections on Gregg Allman – to Kirst at skirst@buffnews.com, or leave a comment after the piece. The Buffalo News is Western New York’s No. 1 news source, providing in-depth, up to the minute news. The Buffalo News brings you breaking news and the latest in local news, sports, business, politics, opinion and entertainment from around Buffalo and Western New York. Posted in Commentary, Memoriam, Music and tagged Atomic Age, August Burns Red, Elvis Presley, Hollywood, Nashville, New Orleans, Rock and roll, Rock and Roll Hall of Fame, Tennessee, Tom Petty, United States.